1. Breakdown your style and sound? 2. You just dropped a project called 4Wit80 , what is the concept behind that project? 3. Why was the project titled 4Wit80 and what does that title mean? I named the project 4wit80 cause it’s my last prison term I did ..80 percent of 4 years . It’s not a jail record or me glorifien jail , it’s just my mind state of where I waz at and where I am now based on the 4wit80 I did. 4. How does the environment you live in effect the type of music that you create? 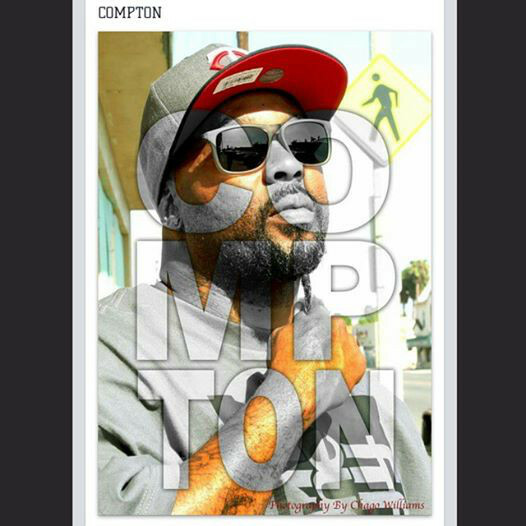 Where I live haz no barren on my music today...I’m a dad at home...I spit where I came from music “COMPTON CA.” my language comes from there . at the age I’m at now, I’m one of the ones that can say I made it !... I survived the ghetto!! Now it’s just tails from the hood so to say...I’m still on the Compton streets but I don’t live in Compton or encourage a street dude like myself to stay for the rest of your life...u won’t make it..I’m fortunate to have given my children a fare chance , so now where I live haz no effect on my music today. Just a sence of focuness cause my steps anit counted anymore. 5. How important is it for you as an artist, to keep it real within your music? It’s very important cause it’s a platform to encourage or show that you can come from the ghetto and use ur voice to speak your life story or showcase your talents as a songwriter/producer in hopes to encourage the next to keep it live for the next out my section . 6. Where do you see your brand and career in the next 6 years? I see BOOMDOCZ production as a hub for great talent.fresh new or vets in the game.wether it be instrumentation , singing or rappin..what evers dope. Music will forever be the biggest drug in the world, so I’m just.